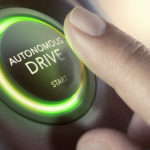 AMERICA’S largest supermarket retailer Kroger and Nuro, maker of the world’s first fully unmanned road vehicle, will soon be piloting an on-road, fully autonomous grocery delivery experience. The companies last week announced their partnership, saying they wanted to redefine the grocery customer experience for Americans. 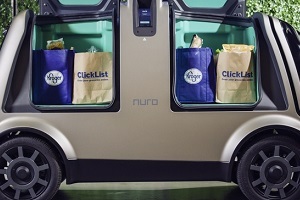 Customers will hopefully be able to place same-day delivery orders through Kroger’s ClickList ordering system and Nuro’s app. During the test, orders will be delivered by Nuro’s fleet of autonomous vehicles. The pilot market will be soon be announced and it was is expected to begin in a few months, a company statement says. Kroger has a retail footprint of 2,800 stores in 35 US states. Nuro co-founder said Dave Ferguson said unmanned delivery will be a game-changer for local commerce. “Our safe, reliable, and affordable service, combined with Kroger’s ubiquitous brand, is a powerful first step in our mission to accelerate the benefits of robotics for everyday life,” Mr Ferguson said.